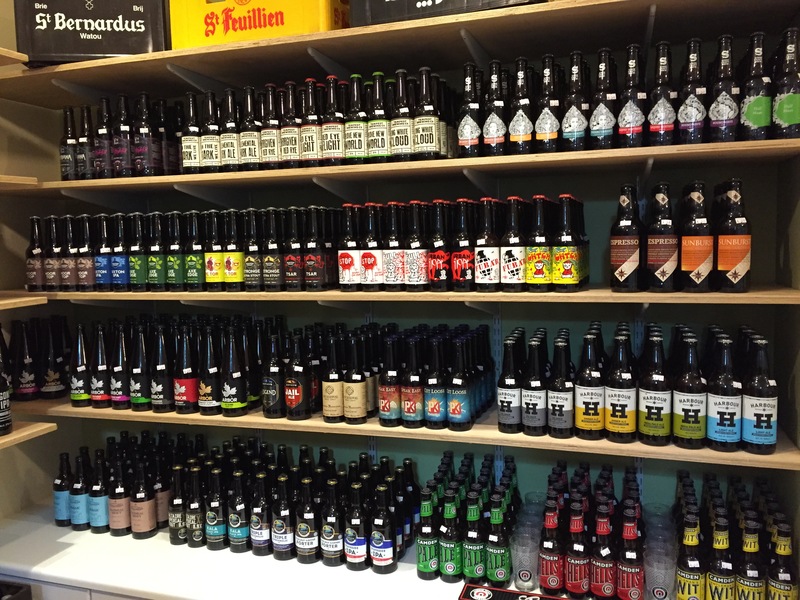 Hops & Crafts, Exeter’s newest bottle shop, is now open for business. Situated in McCoys Arcade in Fore Street, alongside a wide array of local independent traders, the shelves are primed, ready to quench the needs of thirsty Exonians with a battery of craft beer and local ales. With the unfortunate departure of Whistle Wines from Queen Street earlier in the year, Exeter City Centre was crying out for a good bottle shop, and Hops & Crafts has filled the void with an outstanding variety of offerings from the likes of Beavertown, Siren, The Kernel and many, many more; Some of which are unfamiliar to me, but no doubt, in time, will become less so. 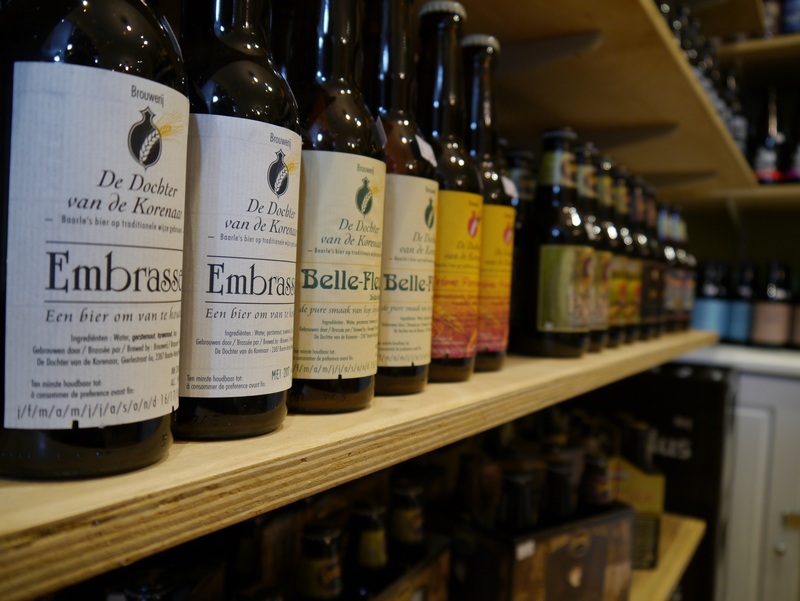 But what I really wanted to know was, just how did Exeter become home to this bijou beer boutique? Being one of the first customers through the door on opening day, I was able to quiz the proprietor, Chris Harper, to get a little insight on his beery journey from Fort Collins, Colorado, all the way to Exeter. My taste for craft beer developed whilst living in Fort Collins between 2004 & 2012, this was when a microbrewery was a microbrewery, and not craft. When we arrived in Fort Collins there were five breweries. This number had increased to eight on our leaving, but now the total amounts to more than a dozen! On top of the breweries, the local taprooms also played a part in the huge beer culture in the area. Feeding the locals with all the knowledge and the beer that they craved. These became the destination of choice when you had guests from out of town to entertain or where you went any day of the week to try some new project beer the brewers did just for fun. My love for Belgian beers started in Fort Collins too, at the hugely popular hometown brewer gone rockstar big – New Belgium Brewing Co. A brewery who exclusively brewed Belgian style beer, but their range has since expanded to include various other styles too. So if you couple all of this, to the classic American liquor stores where you could go in and choose from dozens, if not hundreds of beers, then you’ll see why I felt like Exeter was a let down in the beer department. The problem I had with the local beer was that it just wasn’t what I was used to, and although I did eventually begin to appreciate the traditional ales, I never found anything that I truly loved. It is somewhat of an understatement to say we were spoiled for choice in Fort Collins and since moving to Exeter I had been longing for a better selection of good beer. 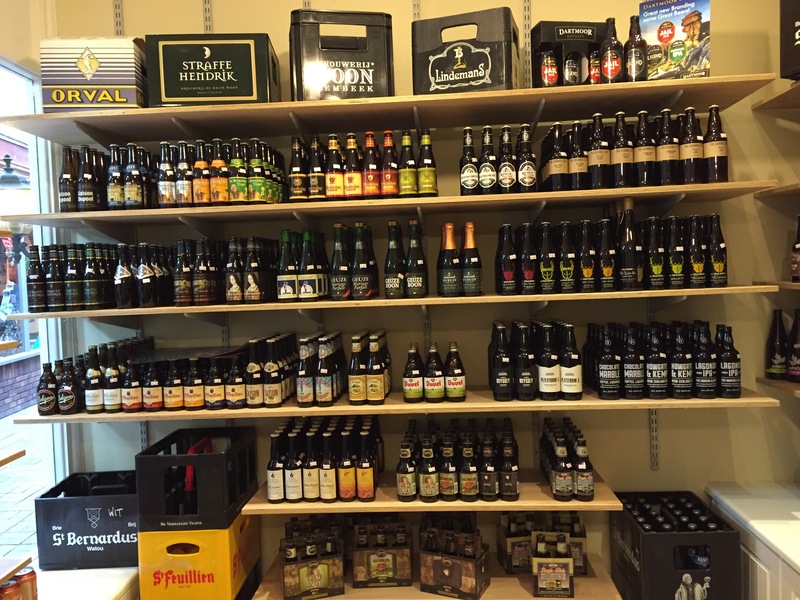 During a cycling trip to Belgium in 2013, where I brought back far more beer than I could actually carry, I discovered that the so called ‘special’ beers, that commanded a premium at home, were available in pretty much every convenience store and at normal prices too. This was fantastic, however, once again, I knew I was ruined on British beer. I knew there was room for improvement, and after sampling some Magic Rock and Wild Beer at the Beer Cellar, my eyes were opened to the other side of the British brewing industry. The Beer Cellar may only have been host to four taps and a few bottles, but, I knew there was hope. I’ve never considered myself the entrepreneurial type, but after dwelling on the thought of opening a bottle shop, I decided it was time to put my videography background on the back burner and concentrate on this new venture. The idea was stuck inside my head for a long time and when I eventually pitched it to my wife, she embraced it and said I should do it! After completing the course to obtain my Personal License in July of this year, things came along nicely, right up to the opening of the shop last Friday. The response prior to opening had been fantastic, and I’m looking forward to seeing how it all develops. I just hope the brewers and distributors will acknowledge that there is a population south of Bristol who likes good beer, and when they do, I’ll be a lot better off and have a lot more to offer folks like you! 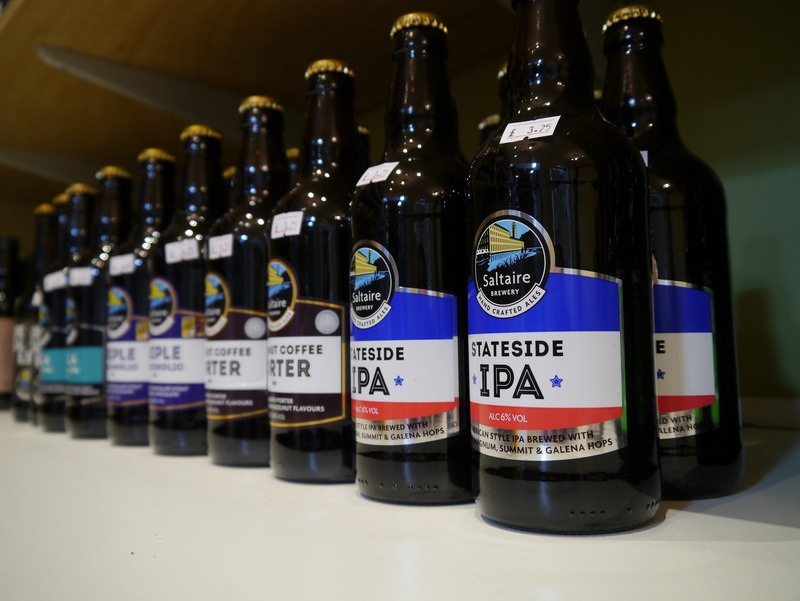 So, come on people of Exeter, the next time you’re in town make sure you head down to McCoys arcade, pop in to Hops & Crafts and stock up your beer cupboard with something a little different. 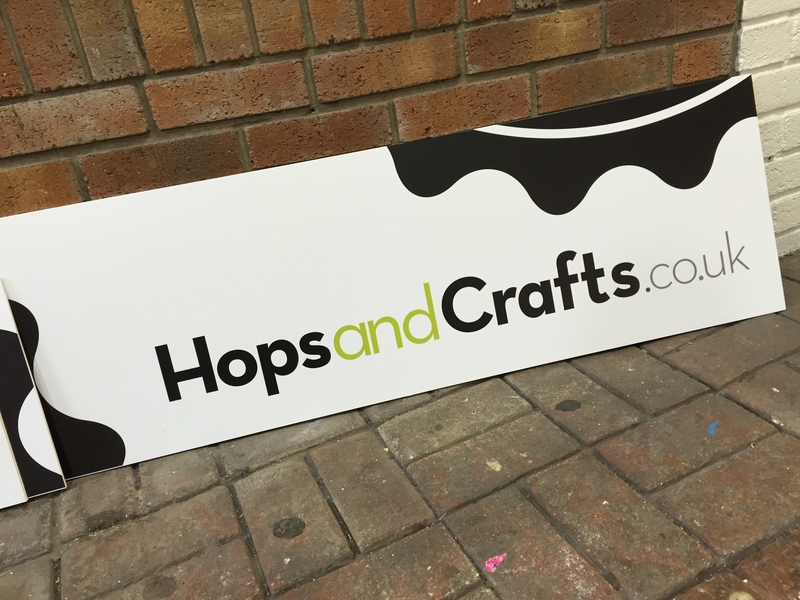 Follow Hops & Crafts on Twitter here.